How to plan your trip ? Vacation always gives us a positive energy which helps us to keep going with great passion. Such positive energy increases while preparing for a trip to be away from the daily routine and stress. As preparing to travel turns on your activate mood. 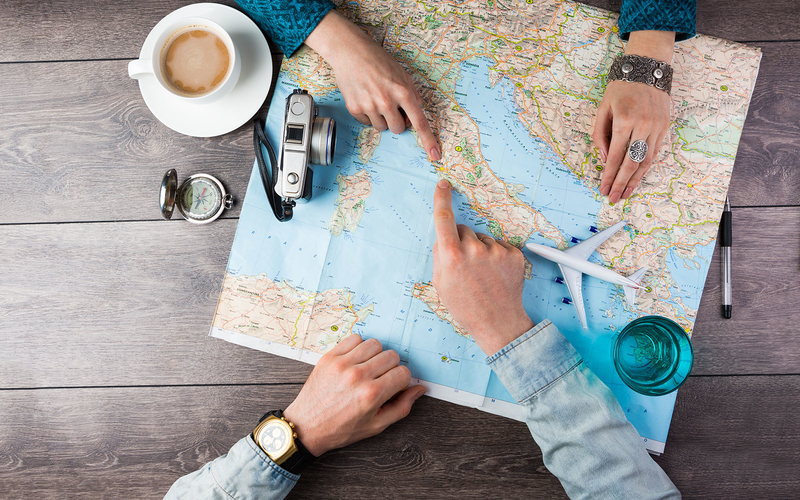 But, to have a successful trip you have to prepare well and plan for each and every element including: people, the place, the duration, the needs, and the budget. Define and select the members who will travel, as you can choose the trip according to the people themselves. If you have children aged from 3 to 5 years, you have to choose places where they can enjoy their time. However, if your children are older than that and aged between 14 or 15 years, you can travel anywhere, and so on. Besides, it is worth mentioning that arrangements can be totally changed in case the members are a group of friends or couples. The activities or the aim behind the trip shall be defined and known; at first. You shall think of the suitable activities for the passengers. For example, hiking and walking for miles are not appropriate activities for families who have young kids. The most important thing while travelling is to invest your time well. For example, if you will travel for 2 or 3 days, it is better to travel inside your country. While if you will travel from 5 to 7 days or more, it is recommended to travel outside. Preparing your trip depends mainly on the duration of the trip and its type. So, if you travel outside your country, you will need time to get the visa and pass the embassy’s interview. While travelling inside your country, does not need a visa but you may need to buy some required tools that you will need in case you are planning to go fishing, snorkeling, or Mountaineering. You have to calculate the whole cost to fit your budget, transportation, hotel fees, food, and your pocket money. That’s why all of these costs’ factors can determine where you will be headed and travel. Try to write all the points in a paper before start planning to travel. However, it is recommended to start your steps early to be able to reserve the tickets that have low prices that suit your budget.